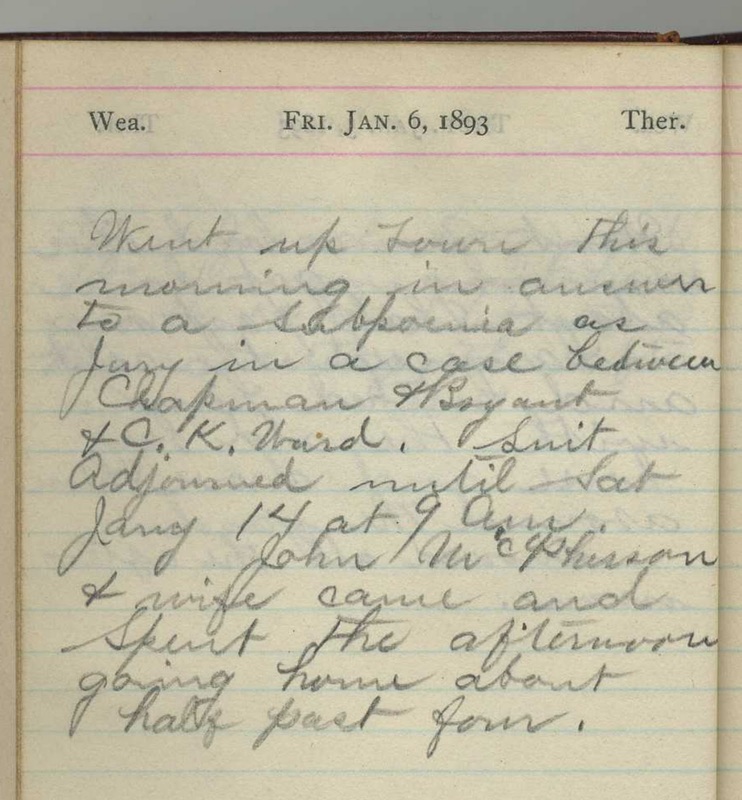 "Went up town this morning in answer to a subpoena as jury in a case between Chapman & Bryant & C. K. Ward. Suit adjourned until Sat Jany 14 at 9 am. 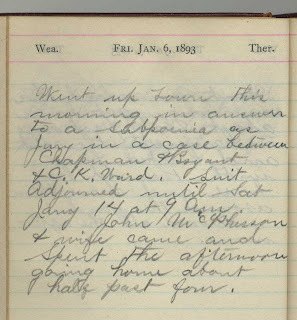 John McPherson & wife came and spent the afternoon going home about half past four." Ok, maybe now things are going to get a little interesting. This sounds like it is a land case. But who knows, it could be something more. If you want, try to Google the names and see if anything pops up (remember this diary is from New York State). Good Luck! Let me know if you find anything.